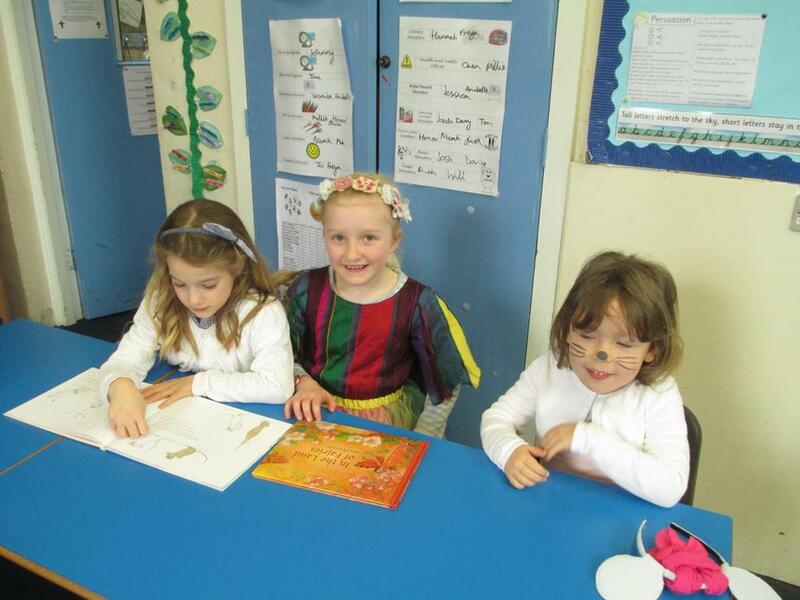 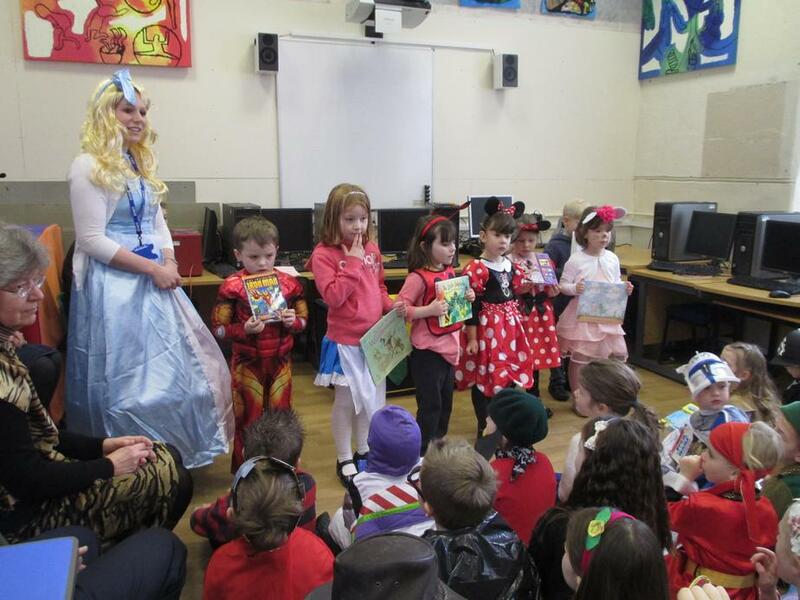 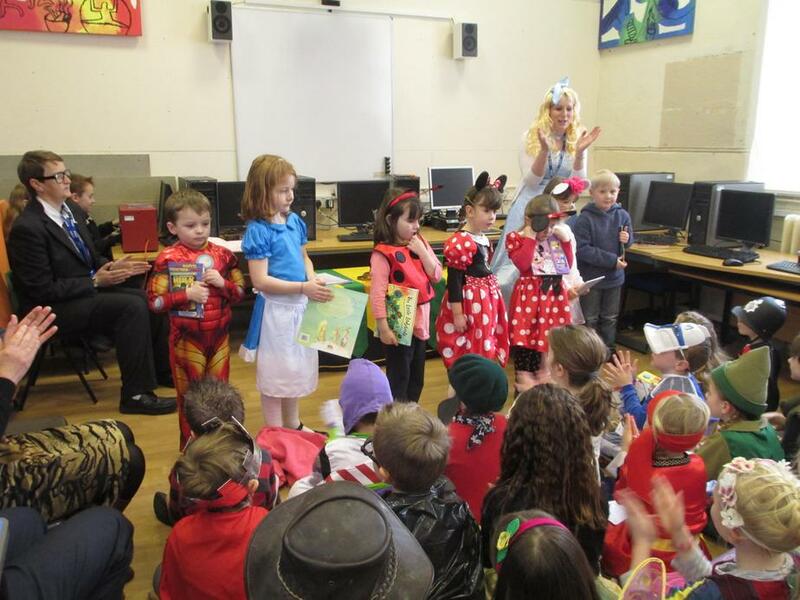 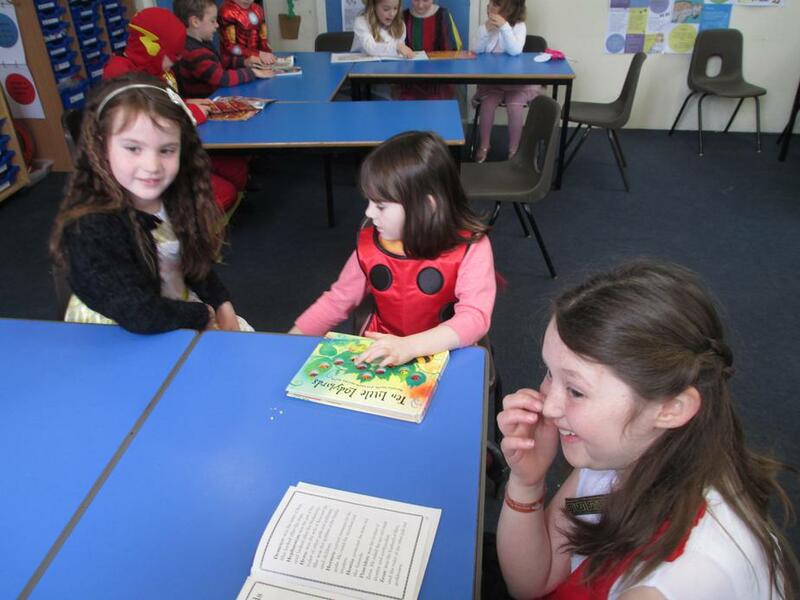 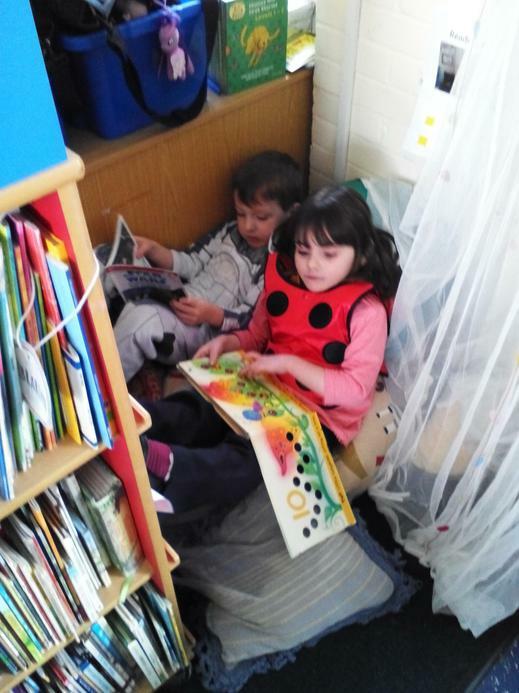 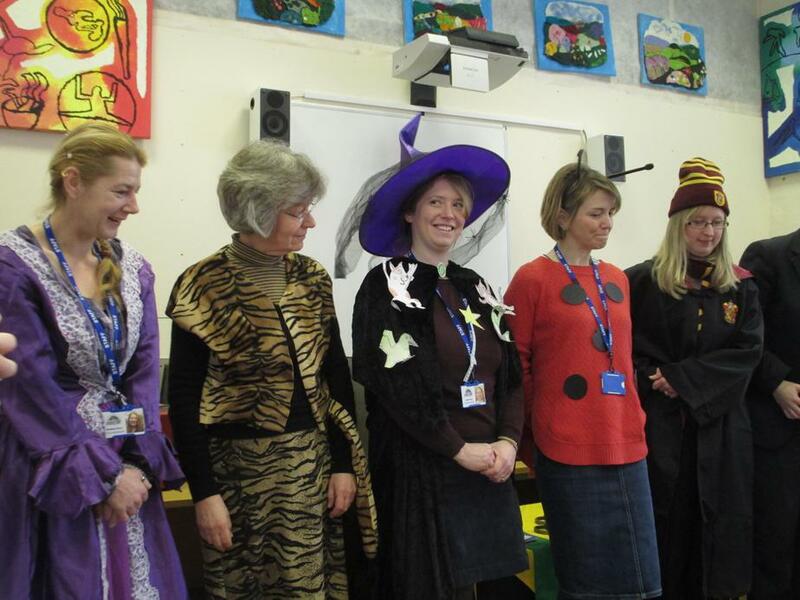 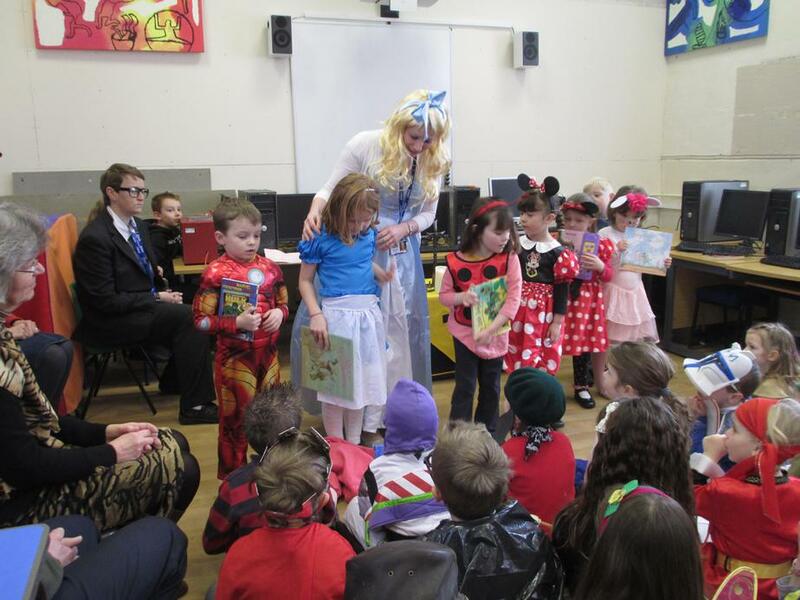 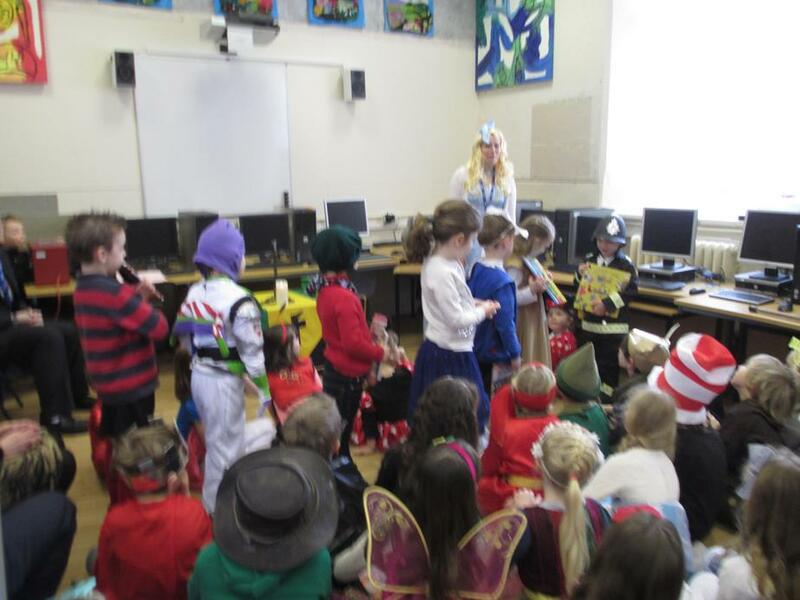 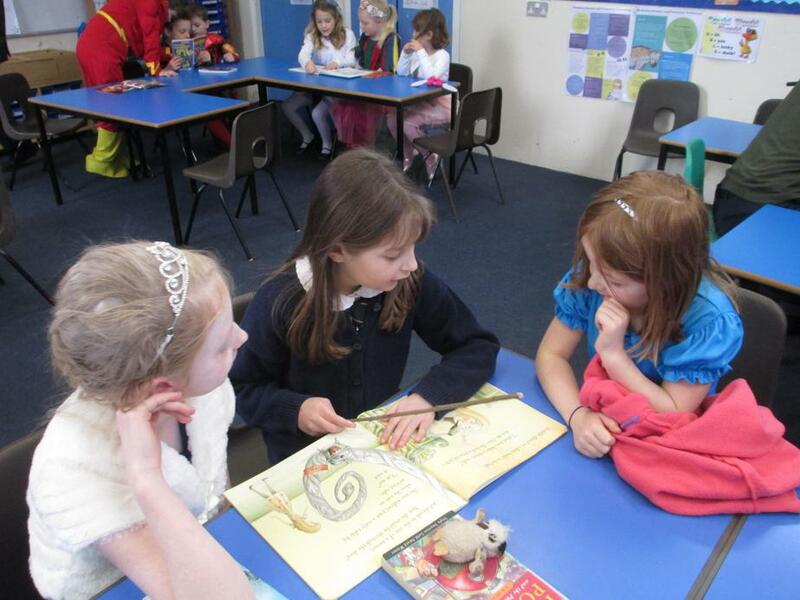 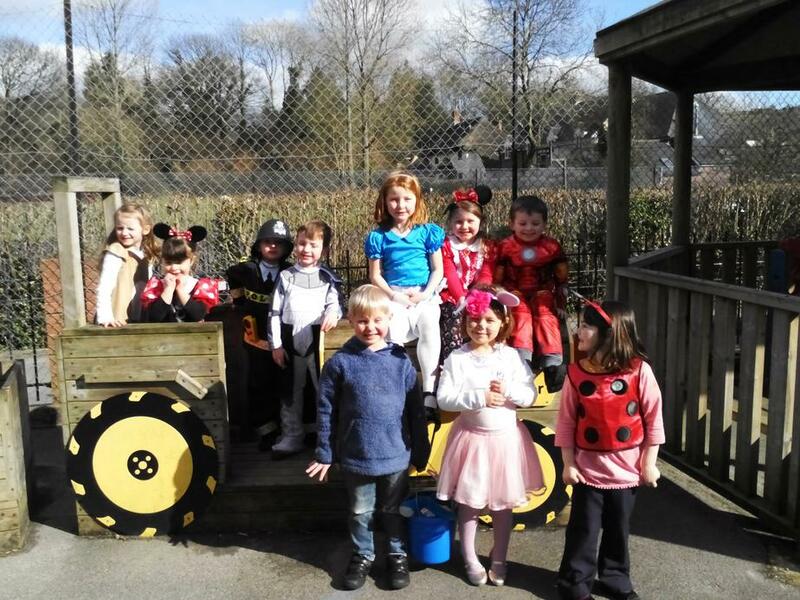 We have all had a wonderful World Book Day! 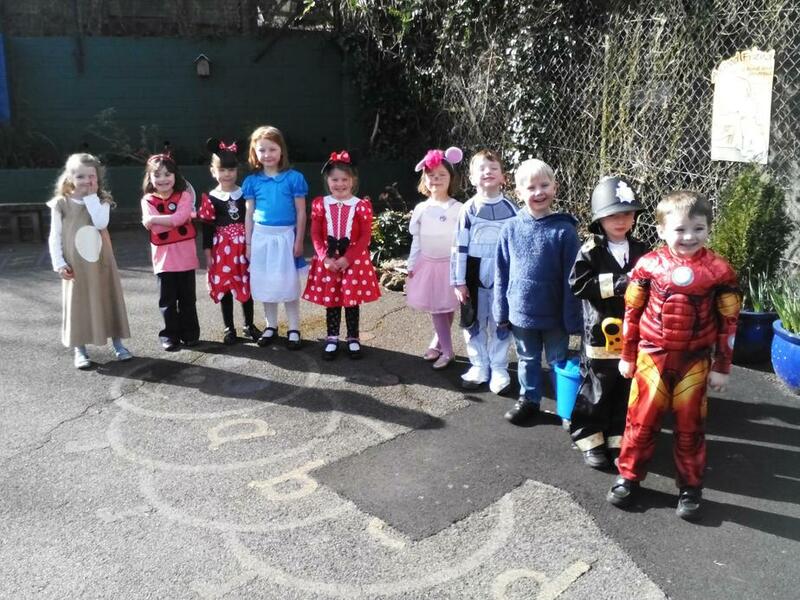 We started the day by having a whole class worship to show each other our amazing outfits! 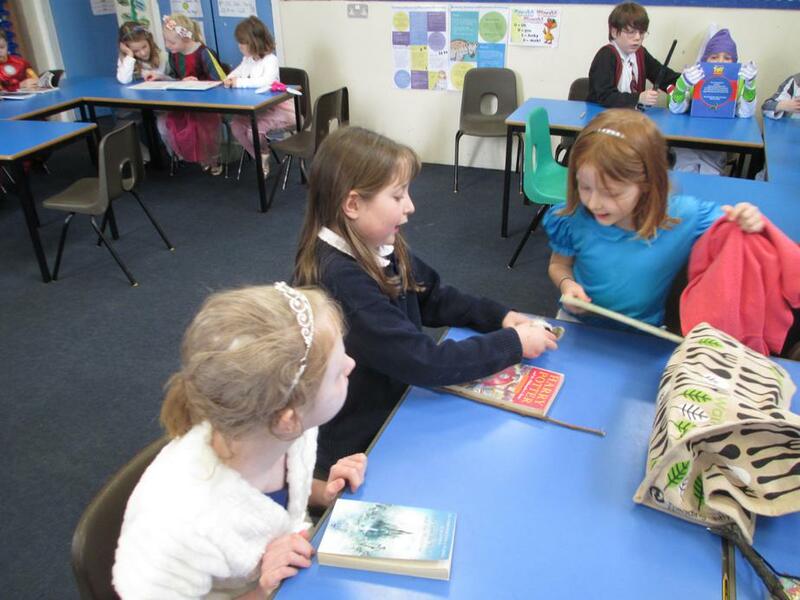 Then we went to read our favourite books in small groups, with children from Trendle and Abbey Class. 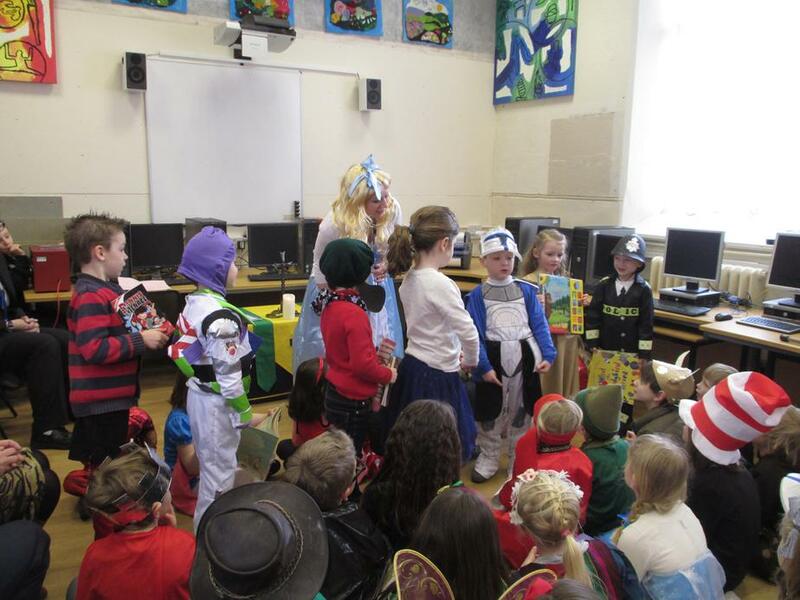 After that the teachers each read a different story in their classrooms and the whole school could choose which classroom they wanted to go to depending on which story they wanted to listen to. 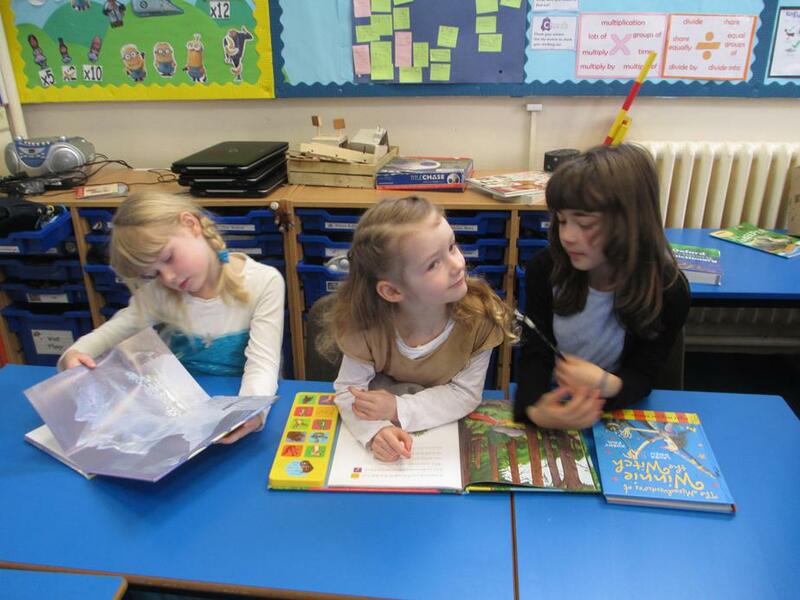 After play we enjoyed drawing our characters, describing them and writing captions/sentences about them. 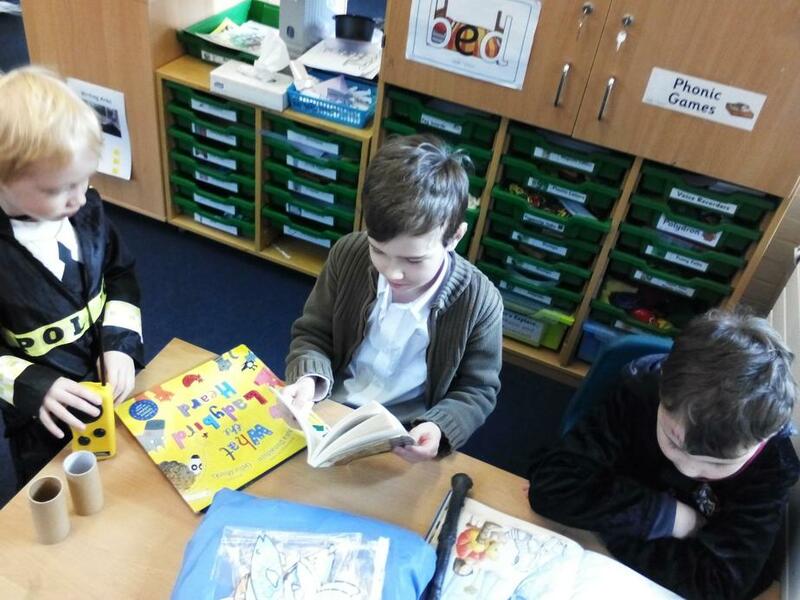 This afternoon with Mrs Edwards, Giant Class had 'Reading Fun' followed by book-themed choosing time! 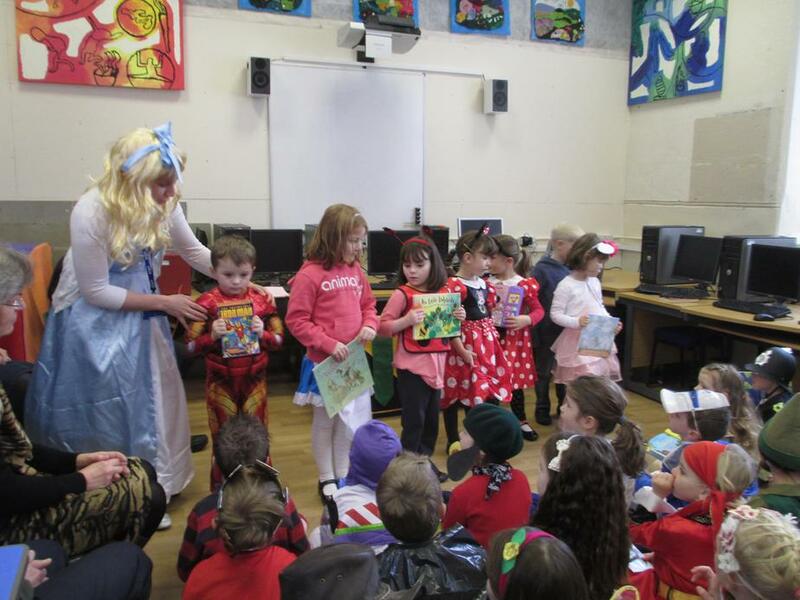 Thank you so much to everyone for making so much effort dressing up, it was a great day and was lovely to spend time enjoying reading and books!